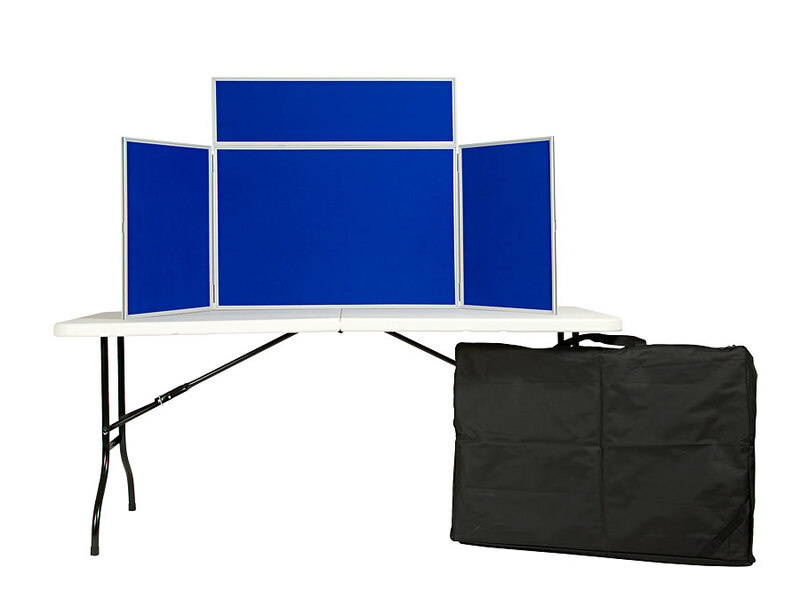 Folding display board for use on a tabletop with 3 panels and header board. 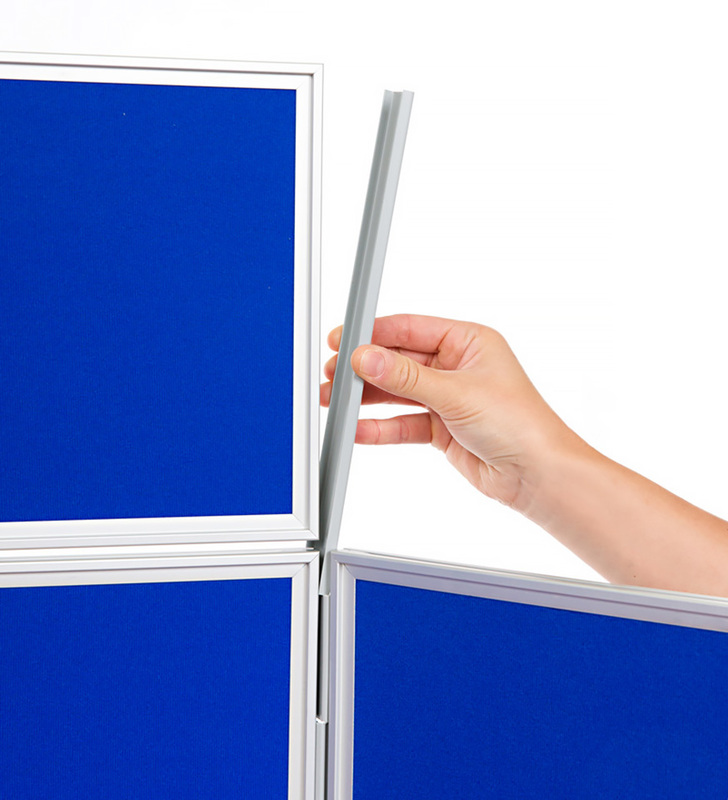 Panels have PVC frame in black or grey and are covered both sides with class 1 fire rated loop nylon fabric. Fabric is available in 13 colours so you can match one to your school colours. It is Velcro compatible so easy to attach your display items. Display kit consists of large centre panel (600mm high x 900mm wide), 2 side panels (600mm high x 450mm wide) and header panel (250mm high x 600mm wide). 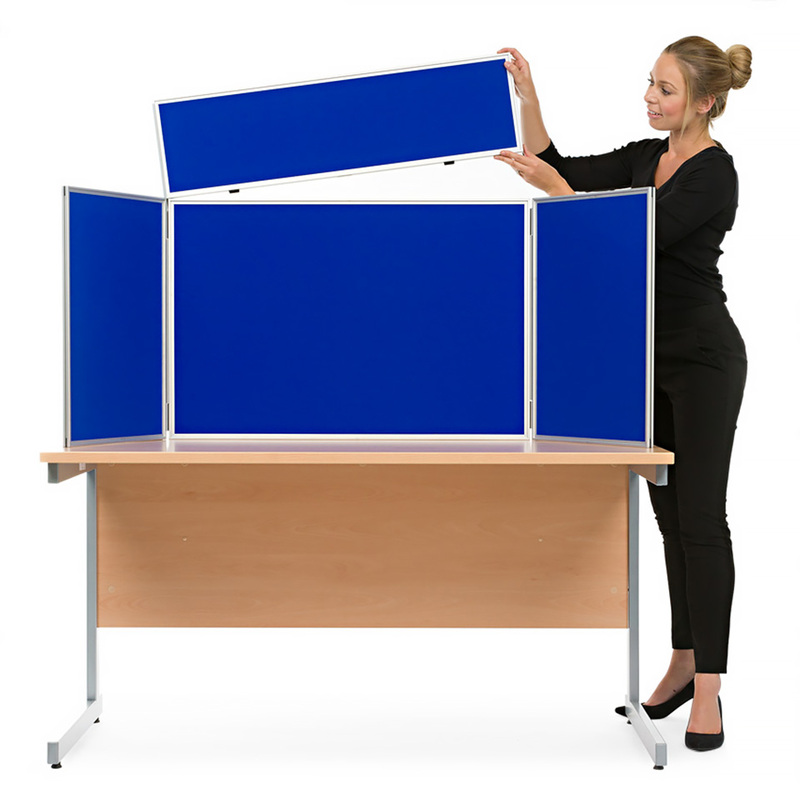 Option with royal blue fabric on one side and light grey on the reverse and grey frame, this display board is in stock for immediate dispatch. 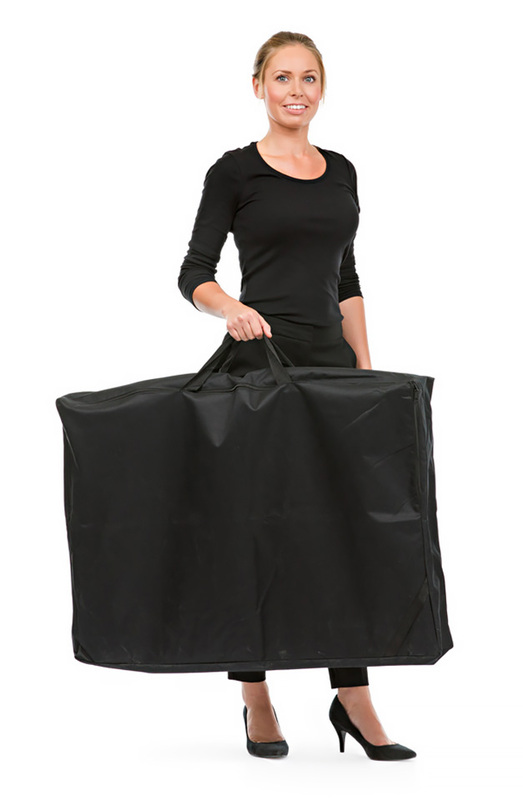 This display board is lightweight and folds up easily for storage in the supplied carry bag. We offer a wide range of display boards ideal for schools and colleges. For more information please Contact Us or call us on 01733 511121. Royal blue/light grey fabric with grey frame is available for next day delivery* on orders received before 2pm. Other colours are dispatched within 5 working days.